Recurrent and chronic sinusitis have a greater negative impact on quality of life than other chronic diseases (like rheumatoid arthritis, heart disease, diabetes). Granted, those disorders are no picnic either, but – according to the kids and their parents – chronic sinusitis had a greater negative effect on quality of life when compared to these other diseases. It is difficult to separate recurrent and chronic sinusitis, or chronic rhinosinusitis (CRS), from allergic rhinitis. Over half of those with CRS have a history of allergic rhinitis. They share many of the same symptoms. This means that many of the following tips will be helpful for children with allergies or sinusitis (or, commonly, both). If your child also has asthma, eliminating their sinusitis will improve their quality of life. HYDRATE ! – keep your child hydrated, use a humidifier at night, use daily saline sinus irrigations, and use a small spray bottle of saline to maintain nasal moisture and optimize nasal / sinus hygiene. Keep those respiratory cilia happy. See my post on Sinus Anatomy and Histology. If you haven’t tried saline nasal rinses, check out my 4-part series on whether they are effective, how to do them, how to make the saline solution, and other details. Keeping them hydrated will also improve clearance of nasal and sinus secretions by keeping them thin. That’s a good thing. Minimize antibiotic use – When good bacteria are killed by overuse of antibiotics, some bad bacteria (or molds) that are unaffected by that antibiotic, will overgrow. Good bacteria are essential to maintain a healthy immune system. Fungal sinusitis caused by molds can be even worse than bacterial sinusitis, so beware. Make certain that your child sleeps and eats well – plenty of rest and good nutrition help maintain a strong immune system. An altered immune system is believed to play a key role in chronic rhinosinusitis, and in fungal sinusitis. 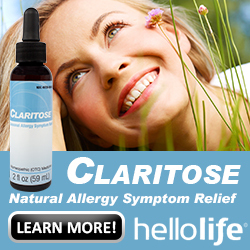 Treat allergies –The majority of people with sinusitis have a history of allergic rhinitis. Get ‘em tested, get ‘em treated. A good Pediatric Allergist will help figure it all out. See my post on how to control Allergic Rhinitis for more. In the meantime, try to minimize use of over-the-counter allergy treatments like antihistamines. They can cause thickening of nasal secretions, resulting in reduced mucociliary clearance – that’s a bad thing. Keep those cilia happy. Consider using Quercetin, a naturally occurring bioflavonoid, that helps reduce the inflammation of the nasal epithelium that is associated with allergies and sinusitis. Consider Probiotics – What are Probiotics? The World Health Organization defines Probiotics as “live microorganisms which when administered in adequate amounts confer a health benefit on the host.” If your child absolutely must be taking antibiotics consider supplementing their diet with Probiotic capsules, or simply feeding them live-culture yogurt. There is growing scientific support for the benefits of Probiotics in several areas of medicine. There will be more in a future post, as several people have contacted me asking for information. Purify your air – Replace your furnace filters! No, they were not meant to be replaced every 15 years. You knew that, right? Check them every month! Replace them every year (at least), more often if you have pets. Vacuum every week, more often if you have pets. See my posts on air quality, and how to detoxify your indoor air. Bonus 11. If your child is old enough and interested, consider the various yoga positions for sinusitis. If your child has chronic sinusitis, consider that they may have reflux – GERD – that is contributing. Check back here for posts on reflux. 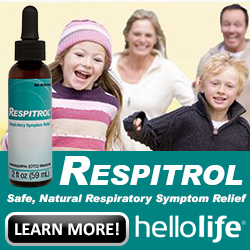 Search the web for information on pediatric reflux and sinusitis. All of the pediatric otolaryngologists that I know believe that reflux contributes to chronic sinusitis in children. All of them. This is too big of a topic to cover here, and will be covered in detail in separate posts. There is a post coming up next month on the Unified Airway Model that you may find interesting, and useful. Most of these principles are not difficult. Not too burdensome to put into action. 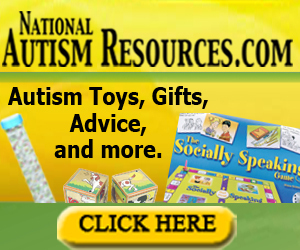 Together, they can make a difference in your little boogor-head’s quality of life. Give them a try. 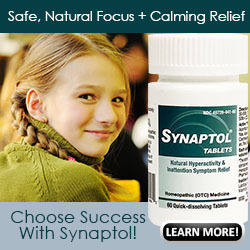 What tips do you have for managing your child (or adult) with chronic sinusitis? What works, what doesn’t work? Please leave a comment, let us know so we can all learn. Check back here every week for more information on getting your kiddo to optimal health. I have come across a few other blogs related to this subject in the past few days in doing a research report for my project. I have to say that what you’re saying here makes perfect sense and is helping me to get my head around this subject. Do you have any other blogs you could recommend to help my research? Thanks for visiting, and for your comment. One of the reasons I started this blog (less than 6 months ago) was the lack of blogs on the topics of pediatric airway issues – allergies, asthma, rhinitis, sinusitis, reflux, and other pediatric ENT issues. I follow Andrew Weil’s site, and he is on Twitter (@drweil), and I read anything from Joseph Pizzorno – he is the Naturopathic Doctor (ND) who founded Bastyr University of Naturopathic Medicine, he is the Editor-in-Chief of a couple great integrative / holistic medical journals, and he can be found on twitter (@drpizzorno). I don’t claim to have all the answers for managing pediatric chronic rhinosinusitis, but over nearly 20 years of practice I have noticed that, whereas most kids clear up WHILE ON the antibiotics, they recur within weeks. The things that I list on this blog post are the tips gleaned over years of working with a multi-disciplinary group of ENTs, pulmonologists, allergists, immunologists, naturopaths, gastroenterologists, etc. Thank you for your kind and flattering comment. Let us know what you find useful for you. For your kids? Thanks for visiting, and please visit often. Ive just come across this site while looking for some things that may help my grandaughter Maddy, She is just 4, and has suffered with asthma, for a few years. Last year was bad with 2 admissions to hospital with pneumonia and collapsed lung, Presently she is on alvesco and ventolin, olive leaf, probiotics, vit c, some multis and an iron tonic, plus some garlic. She is a little low on iron. She has a very good diet, but is very tall and quite lean. She has been suffering from headache the last few weeks, and the doctors are treating her for sinus with antibiotics, but her mum is an oncology nurse and of course you always worry about headache, Can you tell me what else we can do to help? Are there any other supplements? She doesnt eat dairy really. Unfortunately, without a clinic visit, hearing a complete history and performing an exam, it is not possible to provide medical advice. The advice that I CAN give is for you to visit the smartest physician you can find, who will listen, and who you trust, and work with them for a lasting solution. The articles here on this site are provided as a reference resource, and I hope that they are of some help. But nothing can take the place of a good relationship with your grand-daughter’s physician. I wish you the best success, and I would appreciate hearing back from you on how things go for her. Thank you for visiting, and for taking the time to leave a message. Gracias por los consejos.Me interesan mucho por los pequeños de mi familia que sufren de asma y rinitis. Yo solia sufrir continuamente de amigdalitis, rinitis, dolores de cabeza y espasmos bronquiales. Despues de muchos tratamientos infructuosos, me alivie con lavados nasales hidrosalinos, tomando echinacea, vitaminaC y uncaria . Soy adulto y no se si esto seria peligroso o serviria para niños y en que dosis. Esperando su respuesta, nuevamente, gracias. Mi recomendación es visitar la página web – http://www.nasopure.com – y comprar el kit de lavado nasal de tamaño infantil. Todo lo demás es el mismo; sólo el tamaño es diferente. Muchas gracias por su visita y por tu comentario reflexivo.